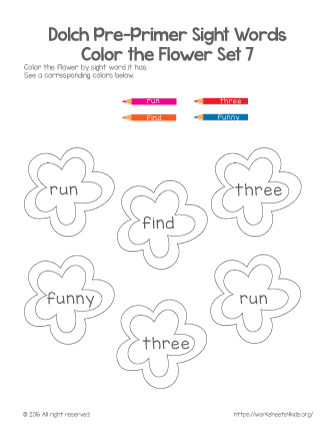 With this worksheet, your child will read the sight word and color the flower. Three more words to practice today: run, find and three. Download, print and have fun in your class. Do not forget to grab pre primer words activity mats.